Snoopy is known to be quite temperamental when Charlie Brown doesn't feed him promptly. 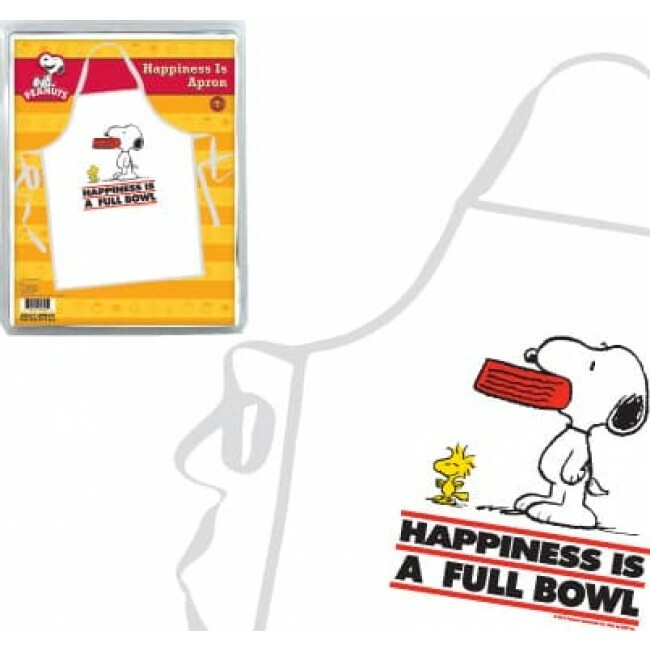 So keep your Snoopy happy with this "Happiness Is A Warm Bowl" apron! It features a colorful image of Snoopy and Woodstock by Peanuts creator Charles M. Schulz. 100% cotton, one size fits all.